Have you ever boarded an attraction vehicle only to find out too late that this ride you thought was simple was frightening to your child? The Minnie Moms discuss their experiences and ideas on Walt Disney World attractions that are surprisingly scary. 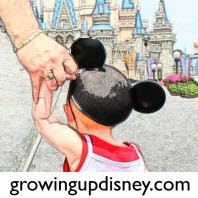 Beth: My son has a bit of anxiety and in Disney, out of his regular routine, things that are not necessarily scary to most kids will terrify him. I had vowed before our 2008 trip, we would not go into any of the 4D movies. They are loud, things are coming at you (or it appears they are) and that left a lot of room for Joey’s anxiety to come into play. As we walked around Fantasyland, Joey spotted Mickey’s Philharmagic. I was very honest with him about how it is 3D and loud, and that maybe we would save it for another trip. He kept pulling my hand in the direction of the attraction. I explained to him again what it was and he wanted to try it. So against my better judgment, we entered Mickey’s Philharmagic. I tried to prepare myself for a quick escape, by being first in the row so I could make it all the way to the seats at the end. No such luck, but we were close – only 5 seats away. I had all the kids keep their glasses off and we waited for it to begin. Within the first two notes of music, Joey started crying because it was so loud. I hopped up, grabbed his hand and we made our way to the end of the row – he was screaming and I was mortified interrupting everyone else’s opportunity to see the show. Someone behind us let out a big “SHHHHH.” I was already upset, but that just pushed me over the edge. I filled up with tears because here was my little guy terrified and then so angry that someone would do that. A cast member met me at the end of the aisle with a flashlight and escorted us to the door. He could tell I was upset and without me even saying anything, he said, “Don’t worry it happens all the time” and gave me a big smile. It probably didn’t mean much to him, but that smile helped me calm down and get Joey calmed down. It was not my proudest mom moment, I knew better, but the good thing is, Hayley and Emily loved it and watched the entire show with my husband and parents. So even though Mickey’s Philharmagic is a fun attraction, it is one of the loudest I have experienced and was very scary for my son. Corby: As we all know Disney World is an amazing theme park with many rides and attractions perfect for kids off all ages. We’ve been taking our son since he was barely 3 years old and while he’s ridden and seen just about everything, some things quite frankly terrified him which I didn’t expect when he was younger. Because of this, I now make it a point to inform my clients of a few things that may be scary for younger children that they might not have considered. Obviously, each child is different, some are more sensitive and fearful than others so I always advise using your best judgment based off your child’s personality. No one knows them better than you and go with your gut instinct. If you are not sure how your child will react, to certain things, test it out yourself (use the parent swap option if need be). There are also videos on www.youtube.com if you’d like to view them ahead of time from home. I can vividly remember as a child being terrified of the train on Mr. Toad’s Wild Ride that used to be in Fantasyland. I’m sure my parents didn’t think twice before putting me on the ride as a child but I was truly scared of the “train” coming at me when I was younger. Of course as I became older, it was quite laughable but it just goes to show that young children may perceive things differently and more realistically. Fantasmic! (Hollywood Studios): The first thing that comes to my mind that I always give warning is Hollywood Studios’ Fantasmic! We took our son when he was younger. We were quite the newbies and didn’t know much about Hollywood Studios. Several cast members asked us if we were going to see Fantasmic!, as it was showing the night we were there. So, of course we thought we had to go. While it is a fantastic show that I do recommend viewing, little did we know, it scared the daylights out of our son at his young age. The show is about Mickey’s nightmares and all the movie clips featuring Disney villains was simply too much for my young child. Snow White’s Scary Adventures: Even though it’s in Fantasyland and it is Snow White, the witch can be pretty creepy to young ones. Fireworks: Disney offers some truly amazing fireworks at Magic Kingdom, Epcot, and Hollywood Studios. Some children can become frightened by the noise. And while IllumiNations at Epcot is my absolute favorite, due to the fireworks being shot low off the water, it may be scarier to children as they do look like they are coming right at you. The Enchanted Tiki Room: The part which may be scary to young ones is when the lights go out and the evil Tiki Goddess appears. Voyage of the Little Mermaid (Hollywood Studios): Ursala’s presence may be frightening to some. Dinosaur (Animal Kingdom): Even though there is a warning on this ride, I think some parents think it may be frightening because it has dinosaurs without realizing the intensity of the ride. Characters: Surprisingly, some children may be scared of characters. If you find your little one is rather uneasy around characters, simply avoid the meet and greets. If you should find that your child is suddenly afraid and doesn’t want to go on any rides as my son did one vacation, try not to get frustrated. There are plenty of other things to do and see. Sometimes they go through phases and I would be pretty confident in saying when you return for your next trip, they will have grown out of it as my son did. Thanks to Beth and Corby for sharing these stories. We'll have more from other Minnie Moms later today. Please come back for more strategies and lessons learned. Please check out our Minnie Moms page to find past topics and to learn more about these ladies' other projects. When I first went to Disney World as a child the first ride we went on was Snow White. Back then I don't think it had Scary in the name. It scared me to death. That witch popping out was sooo scary to me. Even tho I dont have kids myself, There might come a time when I am there with kids, I never really thought about things that you normally dont think is scary but to them it is. Thanks for reminding me that sometimes you just need to go back to when you were a kid and look though your kid eyes! We took my grandaughter just 1 month shy of 3. She had been whatching It's a Small World on you tube and loved it. We rode Winnie the Pooh, It's a Small World and Peter Pan, she hated them all. Also would not have any thing to do with the masked characters and was not too sure about the princesses and the fairies. She didn't have a problem with Mickey's Philharmagic, the Jungle Cruise, Enchanted Tikki Room and all of the spinning rides.